Do you need to automatically insert date or time references in the name of your image files when you convert them? Or perhaps add EXIF information and TIFF tags for each image? 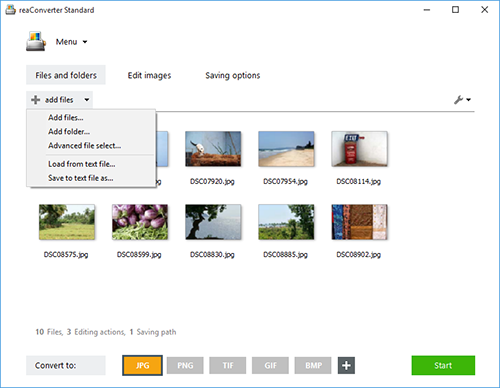 reaConverter supports an effective set of customization tools when it comes to batch image conversion and assigning particular filenames. Its enhanced features help you save time and avoid performing a dull series of repetitive operations, while obtaining filenames that change dynamically, according to your preferences. 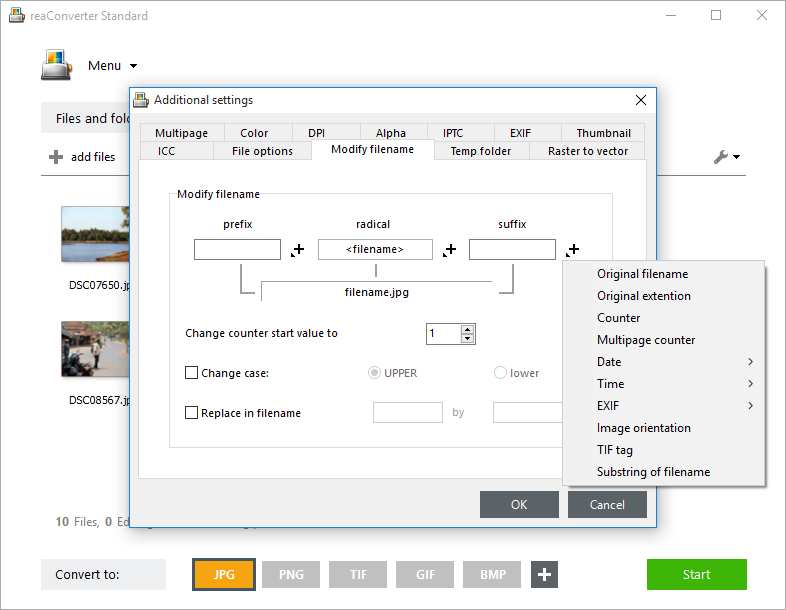 When converting a whole range of images with reaConverter you can customize their filename using a variety of options, such as the original filename or extension, a counter that helps you keep track of how many images you have, the date, the time, the EXIF information and TIFF tags. Load all the images you intend to convert. Use the drag-and-drop tool directly into the reaConverter window or select them manually. You can also load images from text files or add entire image folders here. In the Modify Filename tab you will find a set of advanced customization tools that help you define a pattern for your output image filenames. Enter a radical for the filename, plus a prefix and a suffix that will change dynamically with each image. Available options for the prefix and suffix include inserting the date and time, EXIF information and TIFF tags, a multipage counter, the image orientation or a substring of the filename. Here you can also opt for upper or lower case fonts, and for replacing certain parts of the filename. 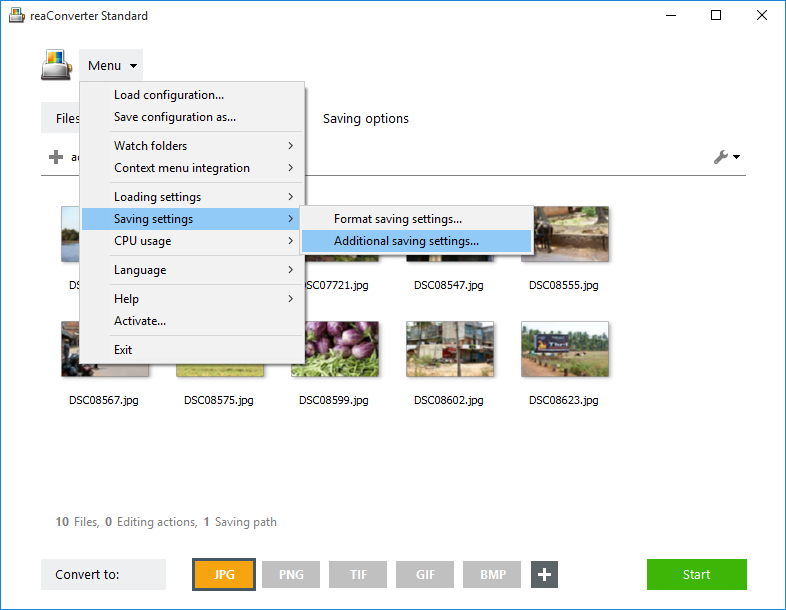 In the Saving settings section, choose the location of your converted images. Finally, pick the extension of the output files from the buttons placed in the lower part of the window, and then click Start to complete the conversion process.